Buero Wagner: Gamsei Cocktail Bar in Munich, Germany | Yellowtrace. Gamsei Cocktail Bar by Buero Wagner // Munich, Germany. 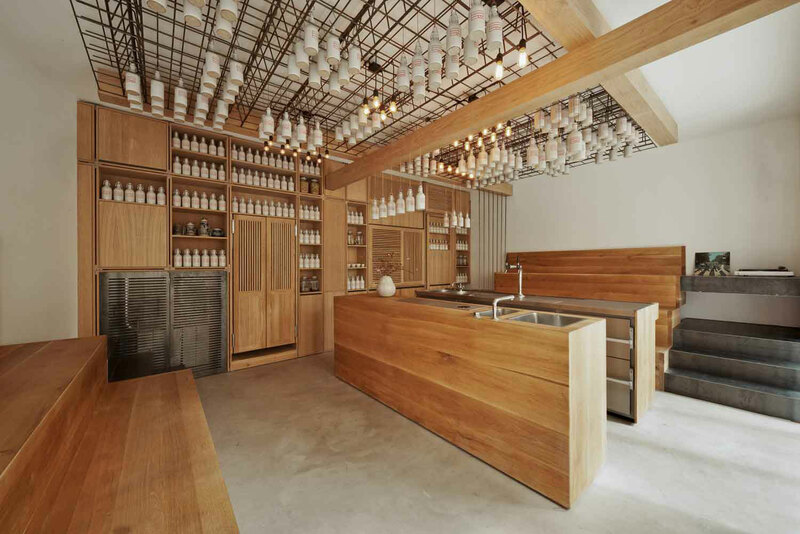 Never mind the fact we initially thought this was an interior of a milk-bar (rather than an artisan cocktail bar of alcoholic variety), the beautifully crafted space is a little jewellery box carefully designed, resolved and detailed within an inch of it’s life. 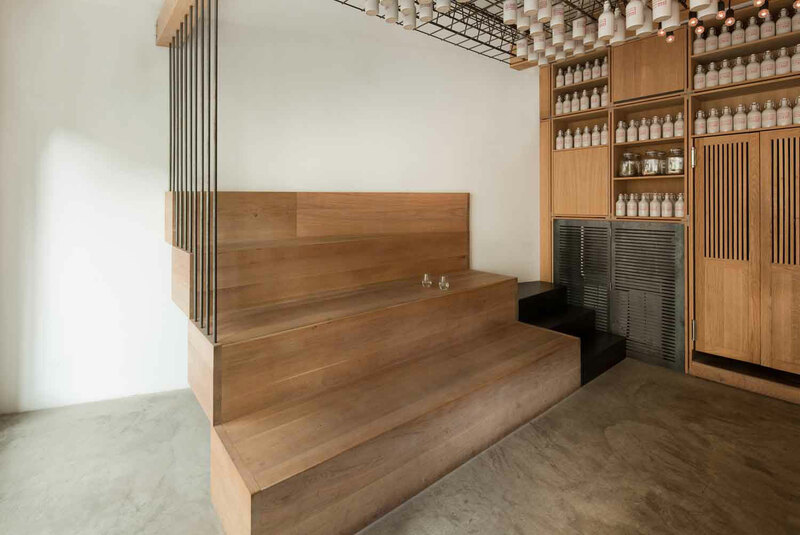 When the owner and head bartender Matthew Bax opened Gamsei in Munich, he introduced hyper-localism to a field of practice which, till then, had been mainly confined to the food scene. 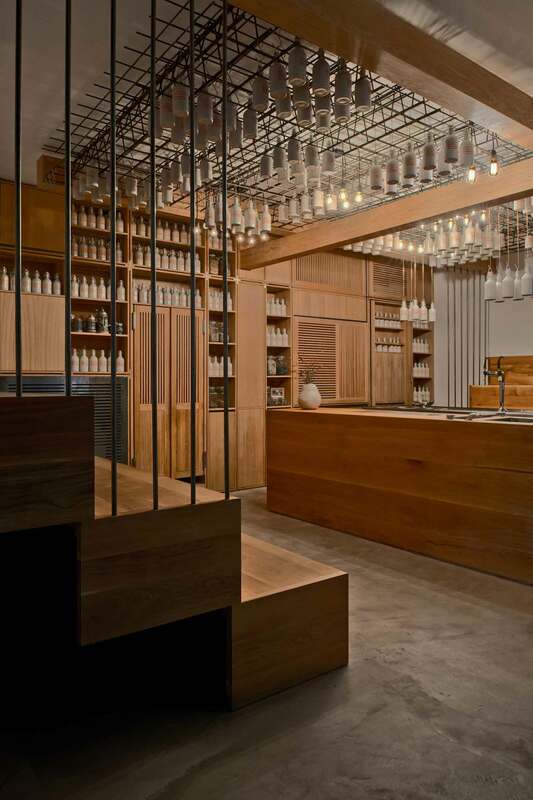 The bar interior, designed and executed by Fabian A. Wagner of Buero Wagner with Andreas Kreft, is a clear continuation of this philosophy – looking for surprising configurations whilst paying a tribute to the local Bavarian culture and craftsmanship. 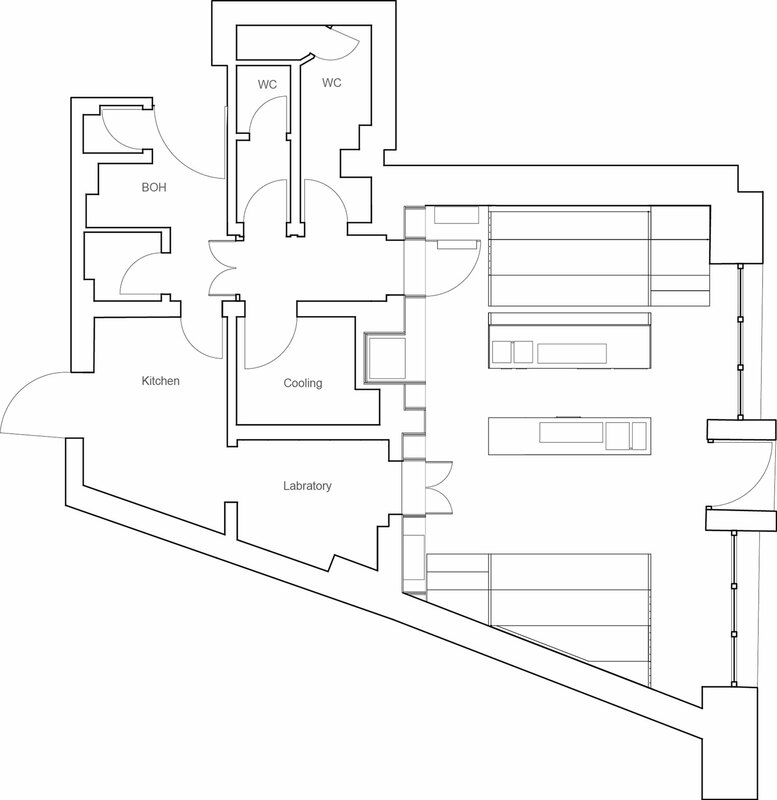 The ambience of a typical Bavarian beer hall has been applied to the 40m² interior through amphitheater-style benches. This way, guests can enjoy front row seats to Bax and his team as they mix, shake and stir up the cocktails. 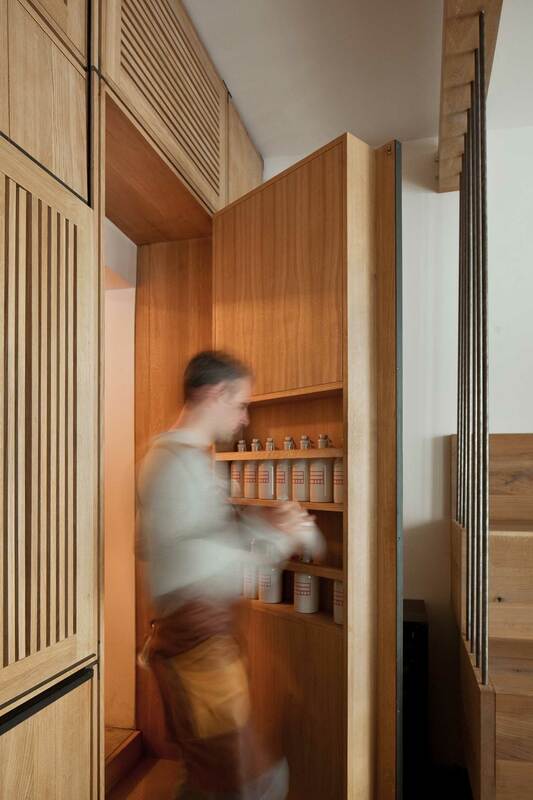 Dried flowers, herbs and leaves are stored and displayed in a wooden built-in cupboard that stretches the full length of the back wall. 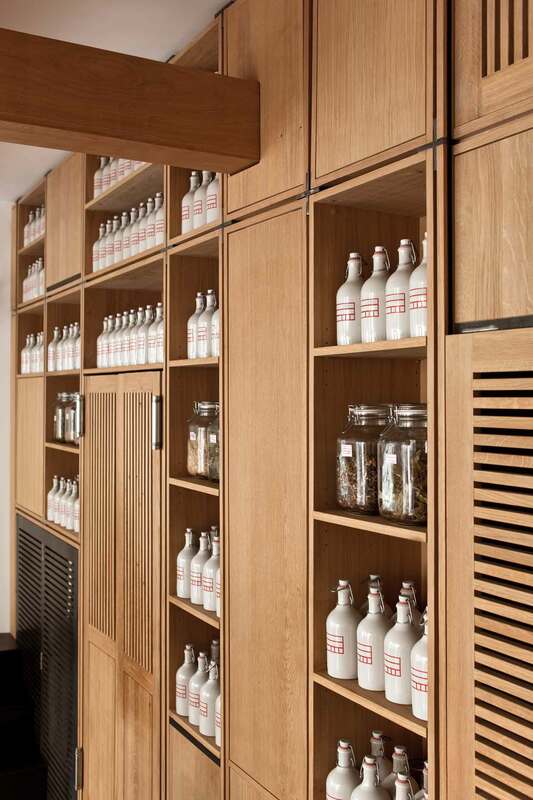 Apart from the ingredients, the doors to the bathrooms and the laboratory are seamlessly integrated into this joinery wall, which has been crafted from solid oak with a natural oil finish. 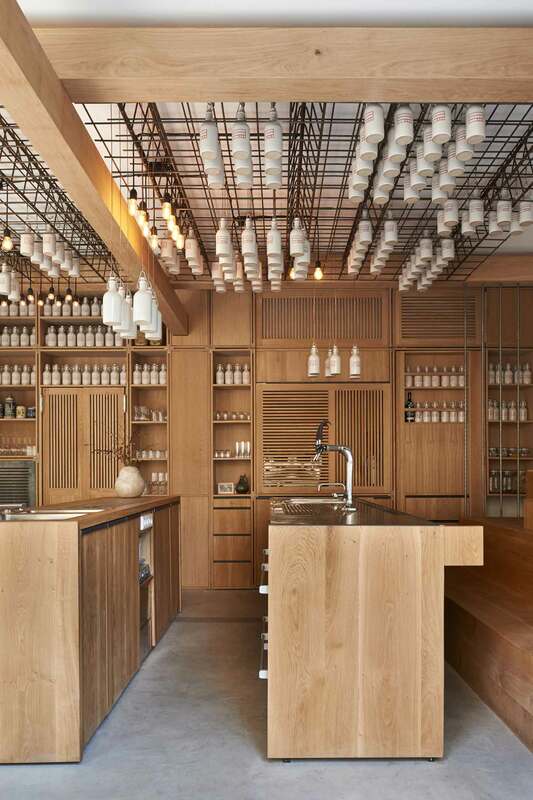 White ceramic bottles are suspended from a black steel mesh attached to the ceiling, which contain home-made liqueurs, syrups and essences used as ingredients for the artisan cocktails. 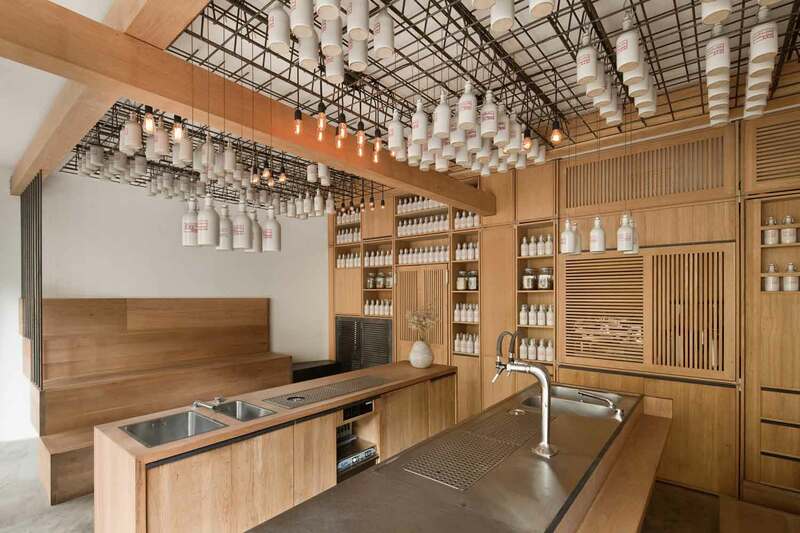 Between the bottles hang the light bulbs allowing for a soft light glow by night. 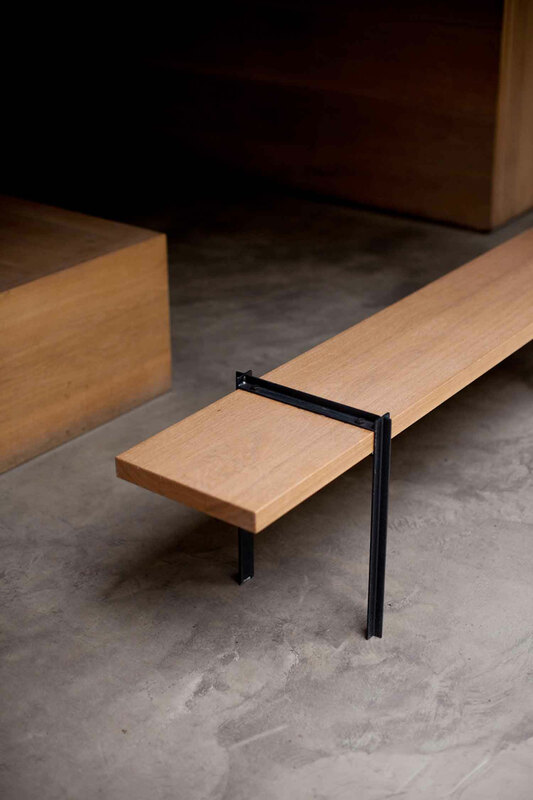 Just like Bax’s cocktail ingredients, Buero Wagner procured all the materials locally such as timber, steel and ceramics (custom-made by Gefäß & Objekt), and worked in close collaboration with local carpenters and manufacturers to produce custom-made solutions. 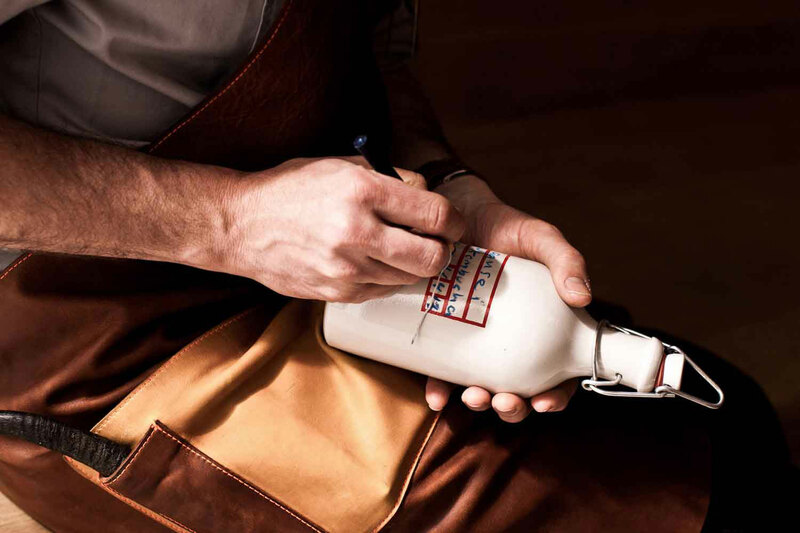 Gamsei is a wholly integrated concept that turns the event of drinking a cocktail into a novel experience. Hanna Krüger Transforms Rosenthal Porcelain into Lamps & Vases.